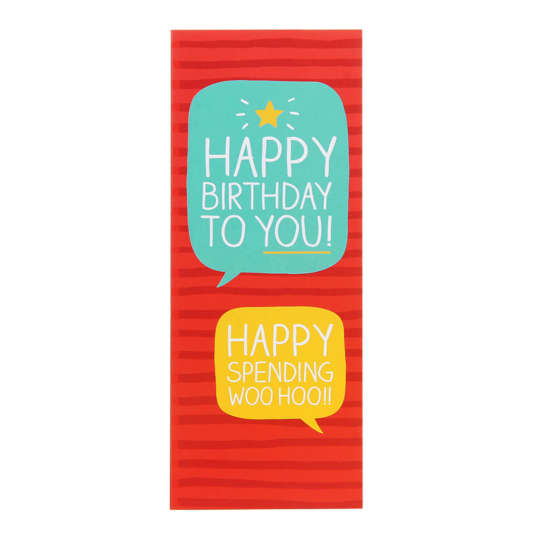 Give the gift of spending with this bright and bold money card from Happy Jackson. This money card is teal in colour with text that reads Happy Birthday To You! Happy spending woo hoo! This card opens to reveal slots at the top and bottom of the slim card, the perfect fit for money for the lucky recipient. The message inside the card reads have a good one!